We joined Gamefly, an online game rental place, this week, and Whitney had been wanting to try out Okami for a while, so it was our first rental. Unusually for our game playing I've only been involved very loosely, with Whitney doing the vast majority of the playing, so I can only describe it vaguely, but in today's increasingly genreless definition it seems to be an action RPG steeped in Japanese tradition and culture. Not falling into the traditional "start totally useless" tradition of most games like these, you play as a wolf-shaped sun god called Amaterasu. You wander from place to place, being given various odd jobs by various odd people and having to clear them to get the ability to progress further, fighting monsters and clearing evil mist along the way. The fighting is sort of a combination between something like FF12's seamless battles and more traditional separate-screen ones - when you get too near a monster a fiery arena grows up around you and you can only then escape by defeating it (in which case you'll then be rewarded depending on your time and damage taken, both represented as various bits of tree of varying desirability for some reason) or finding a gap in the arena to run away. 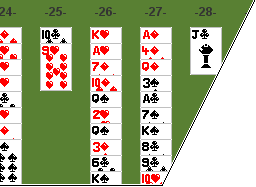 The game's real draw (aha) is the special mechanic of being able to hit R1 and paint on the screen at any time. Not that it actually does anything, most of the time - you can't draw up a couple of giant bipedal robots to help you vanquish the marauding evil - but it works based on patterns that you draw around certain objects. Your main objective, as I mentioned, seems to be to remove the evil mist and enemies and turn it into puppies and butterflies by use of the Celestial Paintbrush - drawing circles around things causes them to grow and gets you more Praise points from watching cute animals, drawing squiggly vines connects things, and you can also summon bombs by drawing a line through a circle, if you can muster up the dexterity to do so. And it's all very interesting - the way that the screen dissolves into a drawn scene when you prepare to use the brush is particularly incredible. As you may have gathered from my last post if you somehow hadn't noticed already, the Japanese seem to be good at unintentional strangeness, and this has got that in spades - you're accompanied by a talking flea called Issun who acts mostly as your voice as Amaterasu is mute throughout, and all talking is represented as a sequence of insane squawking noises that sound like what would happen if you took all the vowels out of this post and fed it into one of Microsoft's text-to-speech tools. Backwards. With the speed turned up to maximum. Often people won't bother to animate talking at all and their hats will bounce about a bit instead. It's definitely stylistic, but sounds disturbingly like Weebl and Bob. Forty game hours after my first post about it, we've completed Okami. Well, I use the word "completed" in that the final evil boss has been dispatched and we've seen the ending, but like most games of its type there still seems to be an enormous amount that we haven't done. For now, though, it's going back to GameFly and we're moving on to something else. When I last wrote about this game we'd just seen the very start, where you're running small errands that seem rather beneath you and it seems that far from saving the world you're in danger of becoming the God of Laundry and Turnips. But after the slow beginning you start restoring colour to Japan one area at a time, accompanied by a rather lecherous little insect-thing called Issun, and the scope of it broadens from there. It's strange that in a game with so many little sub-quests and objectives, there's no way provided to keep track of them all (you're given a Journal in the menu, but it only shows what you're currently supposed to be doing in the main plot). Tombi is pretty much the nearest thing to this game I've played in terms of structure as well as general objective, and it kept a clear record of every problem that a character in the game had whined to you about so that you knew it was on your list of things to fix. That would have been nice. Though at the same time, you could say that it's good not to have an oppressive percentage counter constantly reminding you how much you've missed so far. As for the main objective of the game, it's rather surprising that what you're led to believe is the ultimate goal from the start is actually achieved about a third of the way through. Even though you've only collected half the brush techniques in the game you're tricked into thinking you've nearly completed it, but as soon as that's happened you're sent off on an adventure into an even more expanded world. I don't want to say that this makes the game feel "too long", because that's a complaint that I've never really understood, but it does sort of feel like rather than being rewarded with more game it's sort of dangled a carrot in front of you and then thrown it into a lake. The whole game is very stylized, as I've mentioned before, with a unique drawn style and things like detailed artwork announcing the arrival of each boss in Japanese, inspiring me to shout out made-up translations of their names Iron Chef style. The characters also have a lot of, er, character to them - one of the most oppressive ones is a complete ponce called Waka, whose name is phoenetically only short of an N in the middle. I don't know if he was French originally, or even if it's possible to have a French accent in Japanese, but if it was the choice of the translators then they made a fitting decision. At least the game acknowledges how obnoxious he is in the way that even the other characters clearly can't stand him either (ref. "You big fruitcake", etc). It's an enjoyable game, but it does share a slight problem that self-proclaimed "retro" gamers see in many titles now - it's very easy. Not quite Granstream Saga easy because I can see in theory how you might see a Game Over screen at a couple of points, but still easier than even FFX (you're given a sort of "extra life" feature in the form of Astral Pouches that save you from death if your health bar ever runs out, and I used exactly none of them throughout). Even the harder bosses are more exercises in working out what you're supposed to do to damage them rather than being real threats to your life. But a lot of them are fantastic in that regard, particularly the nightmarish clockwork owls near the end and the very last boss that takes the form of a mechanical sphere and attacks you with giant mallets and massive barrages of missiles that look like they should have "ACME" written on the side, until you eventually hit it enough and its heart falls out of its bottom. As you can probably tell, it has a strange sort of duality to it in that it looks like the people who wrote the actual plot wanted it to be sensible, but the other half weren't afraid to go absolutely mad with it - but the result makes for something very entertaining, filled with nice touches from both sides. One of those is that you'll occasionally be prompted to draw a symbol of your own, and then it'll show up throughout the game just after it's been long enough for you to forget about it - at the very end, the scroll the storyline of the game is being written on is finally rolled up to display the seal of the great god Amaterasu. Which thanks to me was a giant smiley face.